You can choose among a variety of locations in the packages so you can get that perfect shot! If you want to take your shoot, look for Allan Yang. He is a very friendly, awesome and willing to go the extra mile for you kind of photographer. I enjoyed my shoot with him. Throughout. He is very accommodating and all the photos he took were awesome. Highly recommend. He is a Taiwanese. So he can speak English and Chinese too! Stroll the cobbled streets of Japan's most picturesque and historic city and get snapped wearing an exquisite Japanese kimono - the perfect memento of your time in Japan. 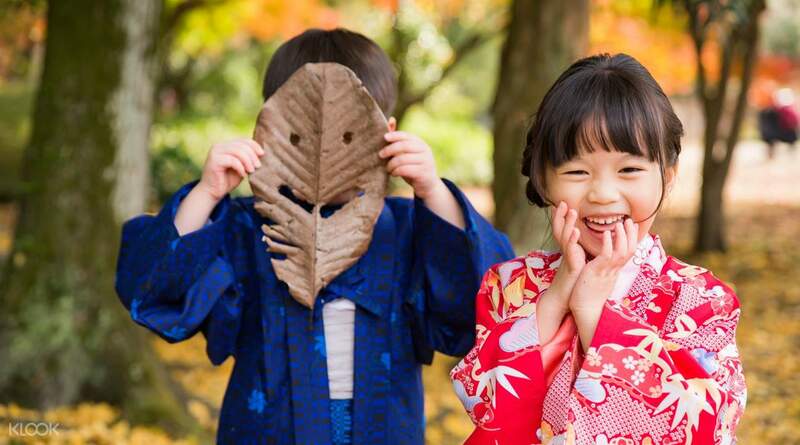 Kimono are Japan's national, traditional clothing, and famous all over the world not only for their ornate beauty, but also for their dazzling elegance. 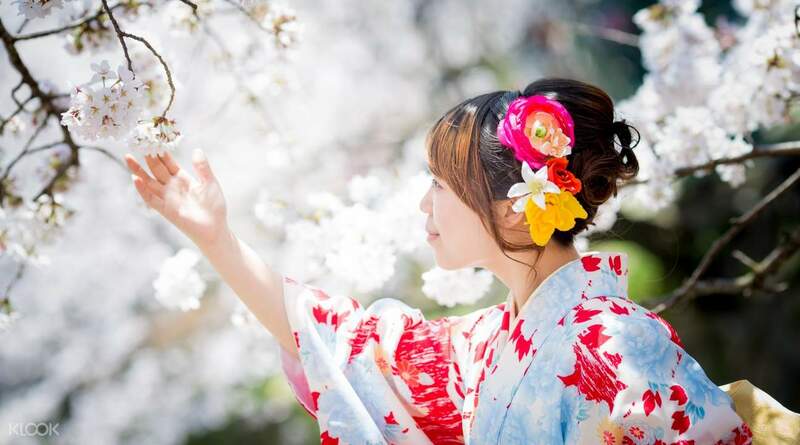 Book your kimono rental in advance then take your pick of the many movie-like photoshoot locations where a professional photographer will ensure you get a huge selection of photos of you elegantly dressed - Japanese style! It'll feel as though you have stepped into bygone days in Japan on this elegant, romantic photo shoot session. Your photo shoot can be just for you, or you can bring along a partner, children or friends with a session for up to 7 people. 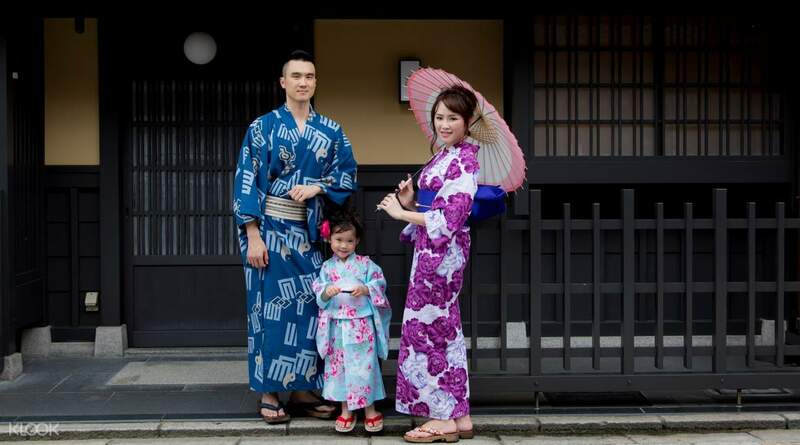 Enjoy a professional photo shoot in Kyoto wearing a kimono! Happyto meet the nice and professional Chinese Photographer. He is very gentleman and take care of me during the shooting. I did take many beautiful pictures and did have good memories there in Kyoto. Thanks! Happyto meet the nice and professional Chinese Photographer. He is very gentleman and take care of me during the shooting. I did take many beautiful pictures and did have good memories there in Kyoto. Thanks! If you want to take your shoot, look for Allan Yang. He is a very friendly, awesome and willing to go the extra mile for you kind of photographer. I enjoyed my shoot with him. Throughout. He is very accommodating and all the photos he took were awesome. Highly recommend. He is a Taiwanese. So he can speak English and Chinese too! If you want to take your shoot, look for Allan Yang. He is a very friendly, awesome and willing to go the extra mile for you kind of photographer. I enjoyed my shoot with him. Throughout. He is very accommodating and all the photos he took were awesome. Highly recommend. He is a Taiwanese. So he can speak English and Chinese too! the photos came as promised date, no problem with communication as the photographer is friendly, polite and speaks chinese! very satisfied with the result..! highly recommend to all who wants this memory.. the photos came as promised date, no problem with communication as the photographer is friendly, polite and speaks chinese! very satisfied with the result..! highly recommend to all who wants this memory.. This was really a great and memorable experience! a translator will be provided if the photographer can only speak Japanese. You get to have professional pictures taken at the same time you get to walk the less quiet and unique alley that the photographer brought you around in the Gion area. Might go for it next time again if I'm there. This was really a great and memorable experience! a translator will be provided if the photographer can only speak Japanese. You get to have professional pictures taken at the same time you get to walk the less quiet and unique alley that the photographer brought you around in the Gion area. Might go for it next time again if I'm there. hassle free. photographer is a taiwanese. friendly and approachable. make u feel comfortable and will let u view pictures while on the go. good experience overall! photos returned were ard 267. hassle free. photographer is a taiwanese. friendly and approachable. make u feel comfortable and will let u view pictures while on the go. good experience overall! photos returned were ard 267.
fantastic experience with a professional team handling us. kudos! fantastic experience with a professional team handling us. kudos! We sincerely regret to hear that you had unsatisfactory experience and we take your feedback extremely seriously. Please understand that under the activity information the photo shoot time is marked per package and advised time to arrive at the store. Your understanding will be much appreciated. We sincerely regret to hear that you had unsatisfactory experience and we take your feedback extremely seriously. Please understand that under the activity information the photo shoot time is marked per package and advised time to arrive at the store. Your understanding will be much appreciated.